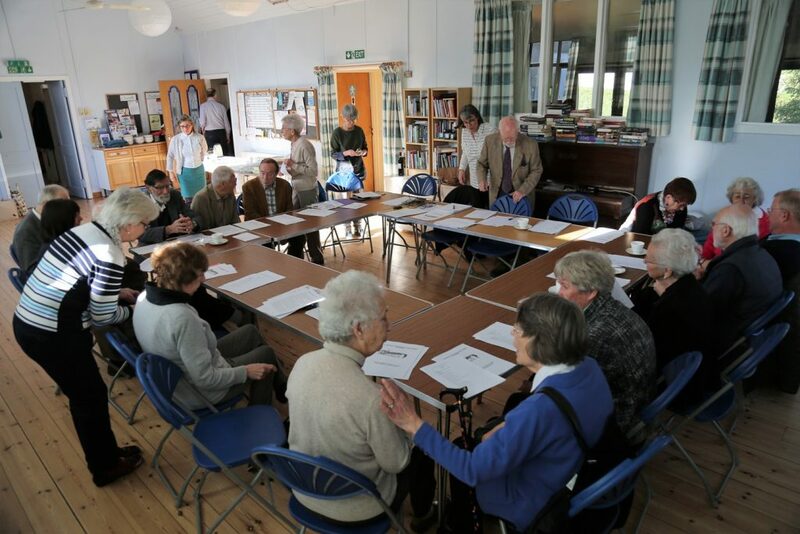 The congregation of St Andrew’s is a small, friendly and pro-active one. Our main service on a Sunday Morning is Sung Eucharist at 10.00am, when members of the congregation assist with the worship by reading, leading the intercessions, serving and administering the chalice. On the first Sunday of the month Evening Prayer from the Scottish Prayer book in traditional language (SPB) is offered at 6.30pm. Every Tuesday at 10am we host an Ecumenical Prayer Group in our Garden Room, were prayer concerns are shared for our community and the world. Our mid-week service takes place on a Thursday at 10am and also uses the 1982 Liturgy. On the first Thursday of each month, St. Andrew’s Fellowship read and lead the intercessions, with the service being followed by the Fellowship meeting for tea/coffee, treats and chat. We offer a warm welcome for anyone who happens through our door regardless of where they have come from, where they are heading or why they are passing by. We hope that we might see you soon.